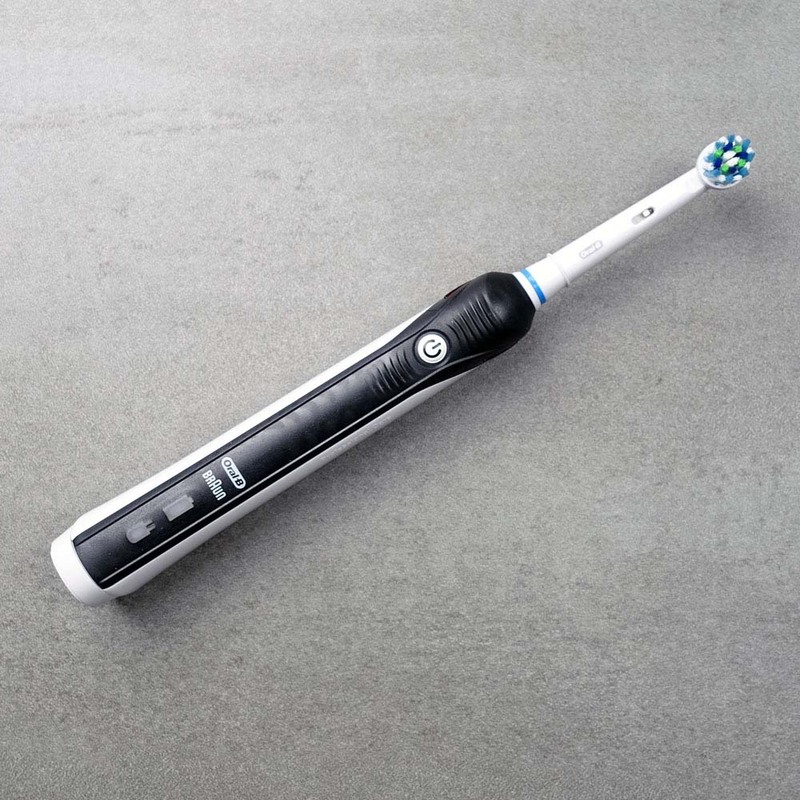 Superb, excellent, brilliant are all words that can be used to describe the Oral-B Pro 2 2500. Compared to last year’s model only the battery life (and the name) has changed. It now lasts twice as long and the 16 day battery life is admirable. It is slim, comfortable in hand and provides a good clean — there is little to dislike or complain about this brush. It has all you need of an electric toothbrush and will do you proud. 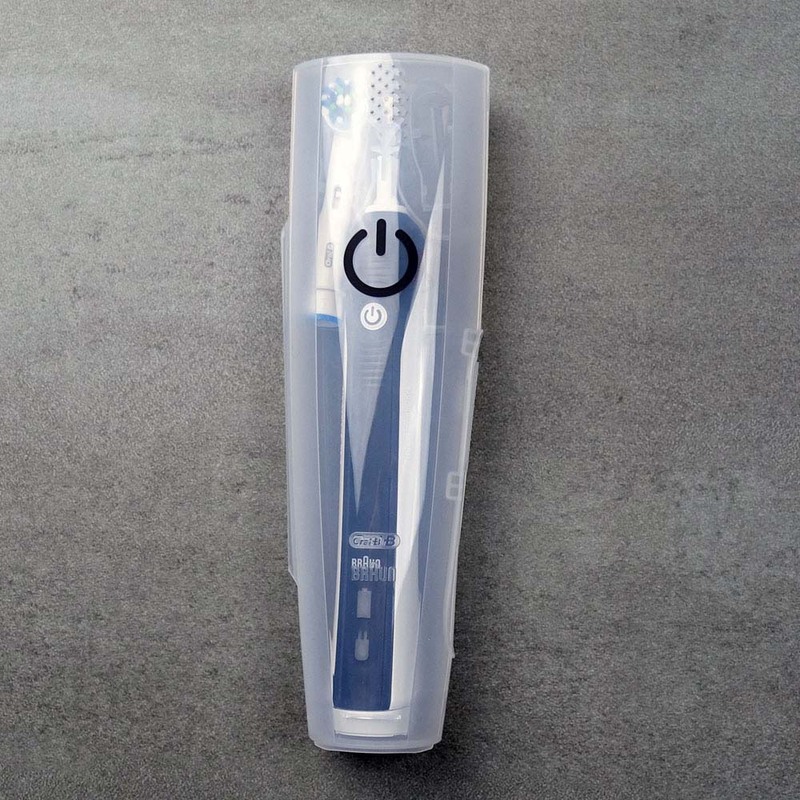 This review is of the Pro 2 2500, the newest, 2017 version of the 2500 electric toothbrush. There is an older model that has an inferior battery. If you wish to read about that model, you can do so here. It’s worth noting that retailers may not have changed their product listings. Amazon, for example, still lists this brush as the Pro 2500, but on packaging, the Pro 2 2500 is shown. If you do purchase this model, ensure it’s the Pro 2 2500 that you take hope from the shop/receive from an online purchase. If you are short of time, the answers to the following 3 questions should let you know all you need to about the Pro 2 2500. If we have missed something, let us know in the comments. 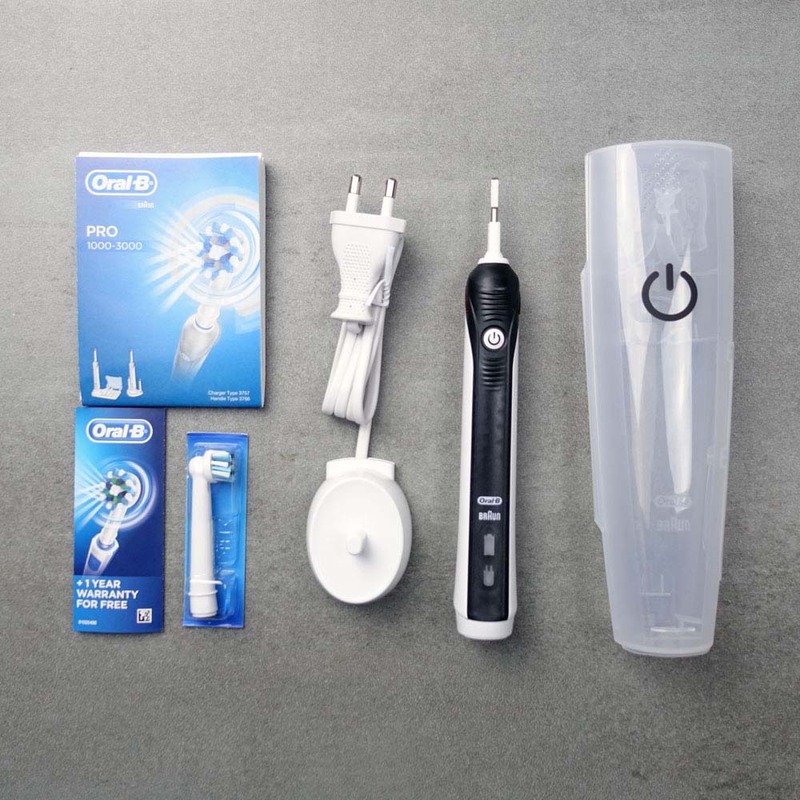 If you want more detail, you can read our full Oral-B Pro 2 2500 review further down the page. 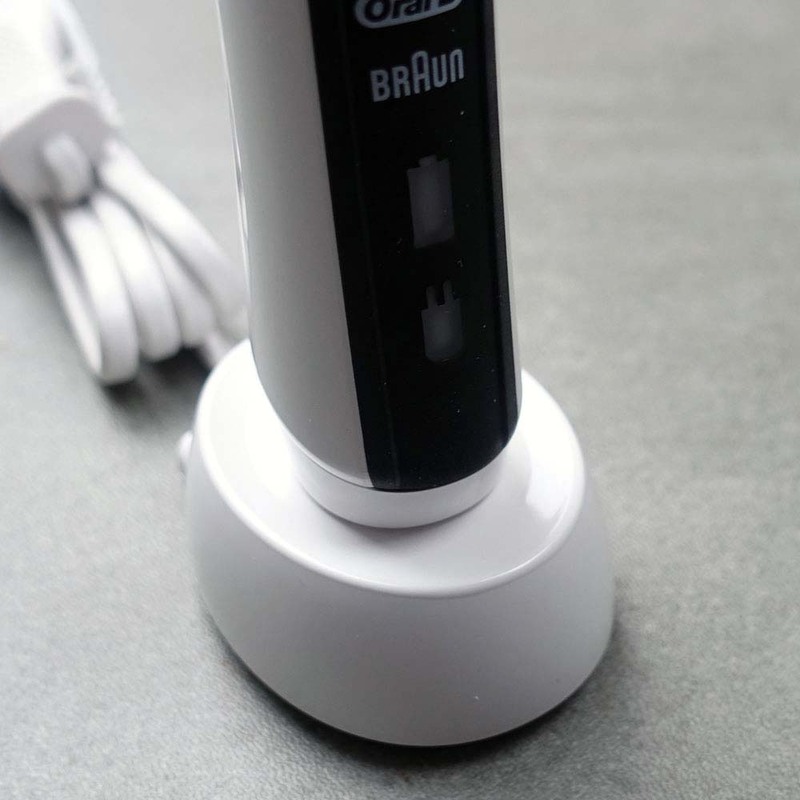 Most certainly not – we actually rate this as the best electric toothbrush you can buy. This is a slightly enhanced version of one of our most recommended models, the Pro 2 2000. Finding something negative to say about this brush is really quite difficult, given the features and the price. A good electric toothbrush, complete with travel case. At this price point, you do have a lot of choice but the Pro 2 2500 really is our brush of choice. If you really want to consider alternatives, take a look at the Philips Sonicare EasyClean or the Oral-B Smart 5 5000. The EasyClean is the equivalent to the Pro 2 2500, whilst the Smart 5 brings with it extra cleaning modes and Bluetooth connectivity. 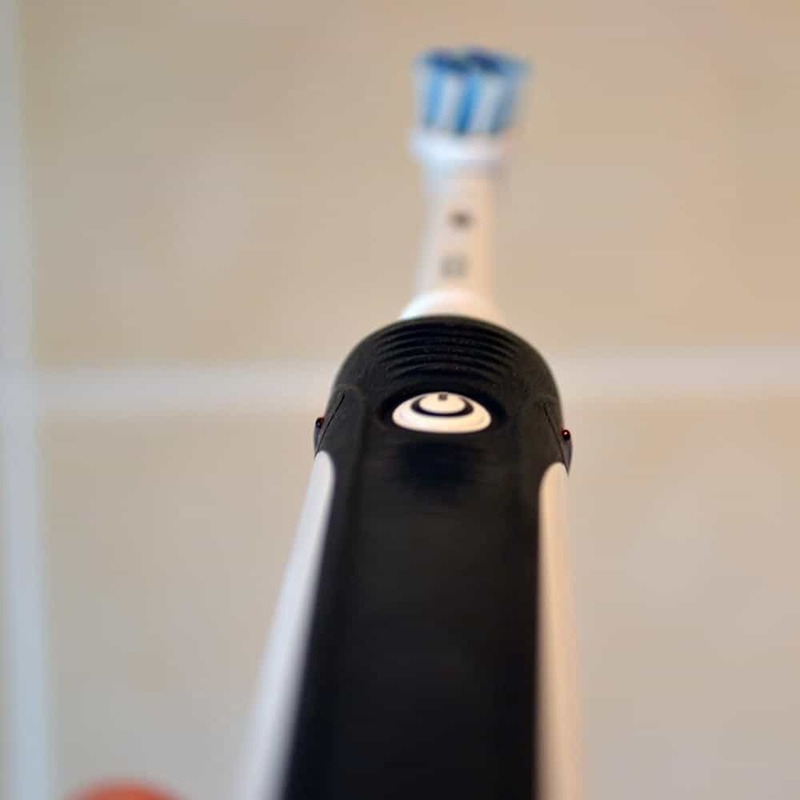 For a more detailed comparison of buying options, see our best electric toothbrush buying guide. 3. Where is the best place to buy the Pro 2 2500? The 2500 is a slight rarer version and it is not stocked by all retailers. Some high street stores and grocers like Asda, for example, may stock it but I can’t guarantee it. The best thing to do is shop online for this model — we have included a live price comparison of UK retailers below and it’s always worth checking out eBay. Due to the Pro 2 2500 being a newer model it may take some time for retailers to sell out or replace their stock of the older Pro 2500, make sure you are picking up the newest model with improved battery life. 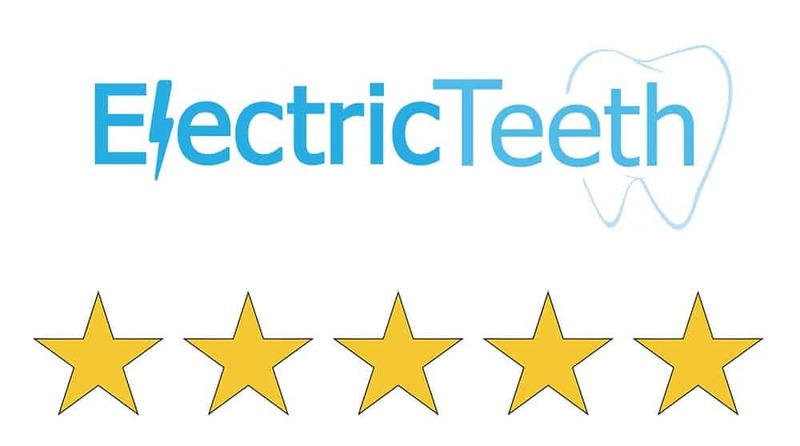 Typically here at Electric Teeth we recommend Amazon because it is very competitive on price and often has special offers running more frequently than others. It also offers free delivery. Nonetheless, it is always worth checking out other retailers as well. You may already be aware if you are then great, but I want to ensure you understand this model because it is very easy to be confused or pick up the wrong brush. The Pro 2500 is an existing model that is being replaced/updated/upgraded (however you wish to refer to it) with a new model for 2017 and a slightly new name. The 2017 edition that I am testing here is called the Pro 2 2500. Older models did not have the ‘2’ in the name. There is one key difference between these models, aside from the new name. The 2017 model has a Lithium-Ion (Li-Ion) battery rather than a Nickel Metal Hydride (NiMH) which more than doubles the usage time. The older Pro 2500 is an excellent brush still but it is worth taking advantage of the extra battery life if you can. Amazon is listing the 2017 version as the Pro 2500, but it is the Pro 2 2500 that is shown in the images, so you should receive the newer model if you place an order. There is also the Pro 2 2000 and the Pro 2 2500 (being reviewed here). The 2500 is essentially the 2000 but with a black coloured grip on the handle and a travel case included. The 2000 does not come with a travel case. Right, so there is something extra you need to know! Most retailers will sell the Pro 2 2500N. Take note of the ‘N’ at the end of the product name. This refers to the type of brush head included. You might see the 2500W or the 2500S. N relates to the ‘standard’ CrossAction brush head, whilst the S and W relate to the Sensitive and 3D White respectively. One extra caveat is that high street and online retailer Boots have a different variant of the Pro 2 2500. 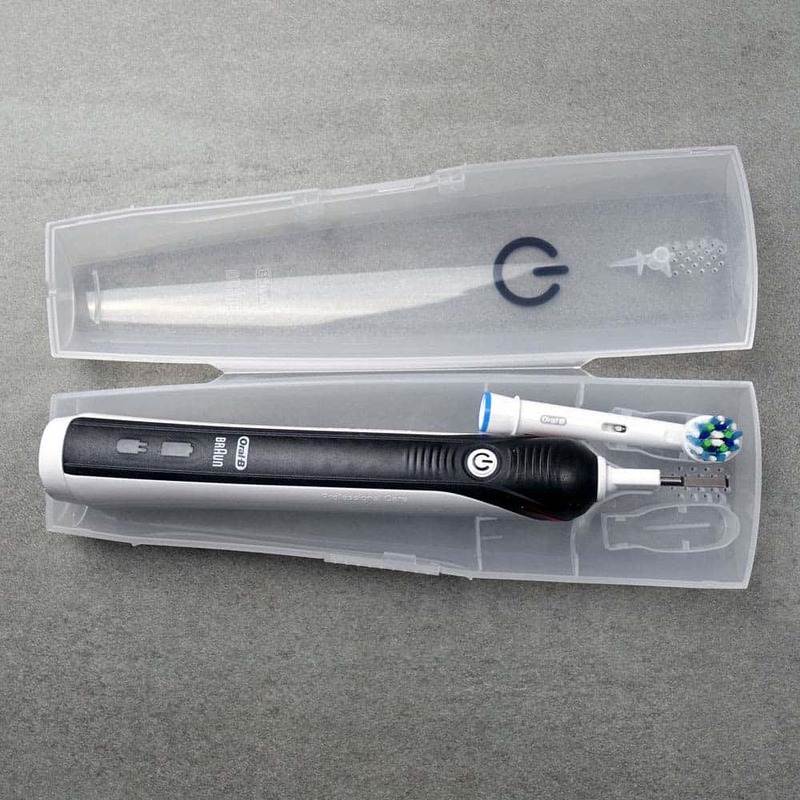 Instead of a travel case, a tube of Oral-B’s Pro-Expert toothpaste is included and the brush handle grip colour is Blue. Here are what I consider to be the pros and cons of the Pro 2 2500. Design -It is a lovely slim handled brush with plenty of grips. Battery Life – Delivering over 2 weeks of usage time this is up to par with the competition and better than the old model before it. 2 cleaning modes – Offering more than the standard ‘Daily Clean’ it perhaps offers one of the most commanded alternative cleaning modes, one that is softer on the gums, ‘Gum Care’ mode. Travel case – Basic but functional the travel case is useful if you go away for a night or longer to protect the handle and the brush heads. Timer – A built in timer encourages you to brush for the dentist recommended 2 minutes. Pressure sensor – A rear mounted pressure sensor illuminates red should too much force and pressure be applied to the teeth. Acting as a visual indicator you are clearly made aware to reduce the pressure and chances of doing damage to the teeth. Battery Status – I would prefer a bit more feedback from the brush on how much power remains in the battery. Get a red flashing light when low, but nothing more really. I apologise now if this review comes over as being too complimentary of the 2500. As best as possible I like to remain unbiased in a review, but this brush delivers a lot for the price. The Pro 2 2500 reviewed here evolves from the Pro 2 2000, which is one of our most recommended electric toothbrushes. Well, the 2000 series covers all of the bases we see as important in an electric toothbrush. It does so at a good price with little in the way of compromise. The 2500 then has good foundations and it is improved by the inclusion of a travel case. A travel case is not required by everyone, but if you do go away, if only for a night it is very handy. Fancy travel case this is not, but it’s a functional accessory that comes in the box to protect the brush handle and up to 2 brush heads. Not only does it stop the brush heads becoming frayed or splayed, but it also keeps other items in your bag dry, should the brush heads and handle still be damp. Plus, it makes it very difficult, if not impossible for the brush to be accidentally turned on. We have all heard those embarrassing stories of something vibrating in a suitcase when going through customs at the airport. Nothing dodgy, just your electric toothbrush. No such worries here. Another small difference between the 2500 and the 2000 is the colour of the grip that runs down the handle of the brush. The 2000 comes in a blue or pink colour normally, but the 2500 has a black coloured rubber grip down the handle. For some, this makes the brush more appealing, for others less so. In hand the brush is lovely and slim. What Oral-B do well is striking a balance between form and function. Large enough you can grip onto it easily, but slim enough it does not feel chunky in hand. There are 2 parts to the brush, the handle that has all the clever bits of technology in and the detachable brush head. The brush handle is completely sealed. Inside is the battery, the motor and other electronics that make this brush function. It is sealed to avoid water getting into it. This does mean the handle is water resistant and can survive splashes of water or rinsing under the tap, the least you should expect from a toothbrush right?! It has not been designed to be immersed in water. So, don’t let the kids use this as a pretend submarine in the bath! With the 2500 it is a classic black and white colour combination. 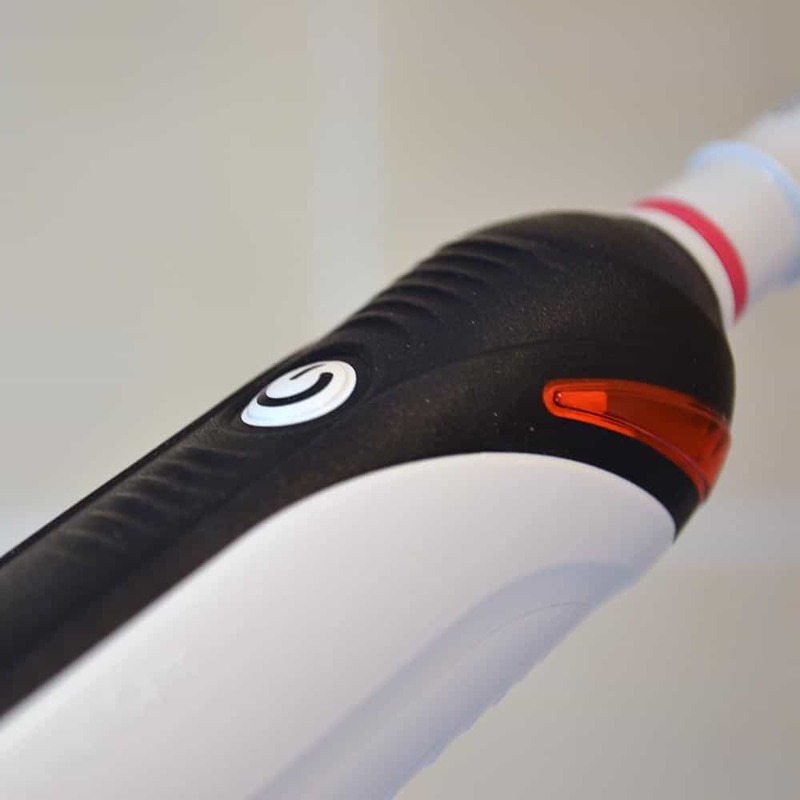 The main body is a gloss white with the black accent being the rubber grip that runs top to bottom down the brush handle. The single button on the front of the brush stands out because it is white in colour, contrasting against the black. This single button is the power button that turns the brush on and off but also switches the cleaning modes too. More on this shortly. Above and below this power button are contours in the rubber that drive the eye and the finger/thumb to it. 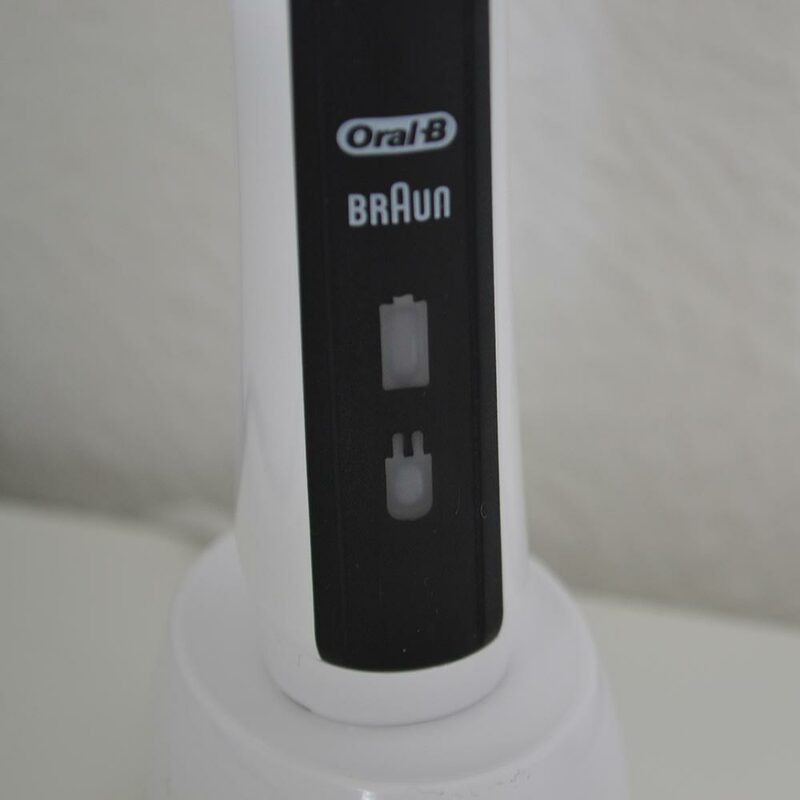 The lower third of the brush handle has the Oral-B and Braun logo in white and then a battery and charging icon below them. The transparent icons light up when on charge or when the battery is low. This is where one of the small criticisms of this rush comes in. The upper charging icon lights up red when the battery is low whilst the battery icon will flash green when on charge. For me, I would like to see more feedback from the battery. For example, when the brush is turned off, the battery icon stays lit for 10 seconds, green to show a good amount of power in the battery, yellow for medium and red for low, but sadly this is not the case. Many will leave the brush on the charging stand provided, but it would be nice in my opinion to have this extra level of feedback. However, with up to 16 days of usage time from the battery maybe this is not necessary. The gloss white plastic sides to the brush as smooth, but not too slippery to the touch. The rear of the handle has a series of ridges that run from the top to about half way down the handle. These act as gripping points for the hand and fingers when in use, these are particularly good if your hands are wet. They are a little harsher to the fingertips than the rubber on the front but they do the job well. If you take a look at the very bottom of the brush, although it stands upright, you will find a recess into which the inductive charger fits. The charging stand has a protuberance that the 2500 brush handle sits on. Right at the top of the brush handle is a metal prong, this is what the brush head connects to and feeds the power from the brush motor. The front mounted power button needs to be pressed once to turn the brush on. It will begin running the Daily Clean mode. This is the go to mode on all brushes. If you press it again on the 2500, it will change to Gum Care mode and a third and final press will turn the brush off. Requiring a firm push the power button has a decent level of resistance. It is not too hard to switch the brush on, but it’s not likely to turn on unless you really mean to press the button. 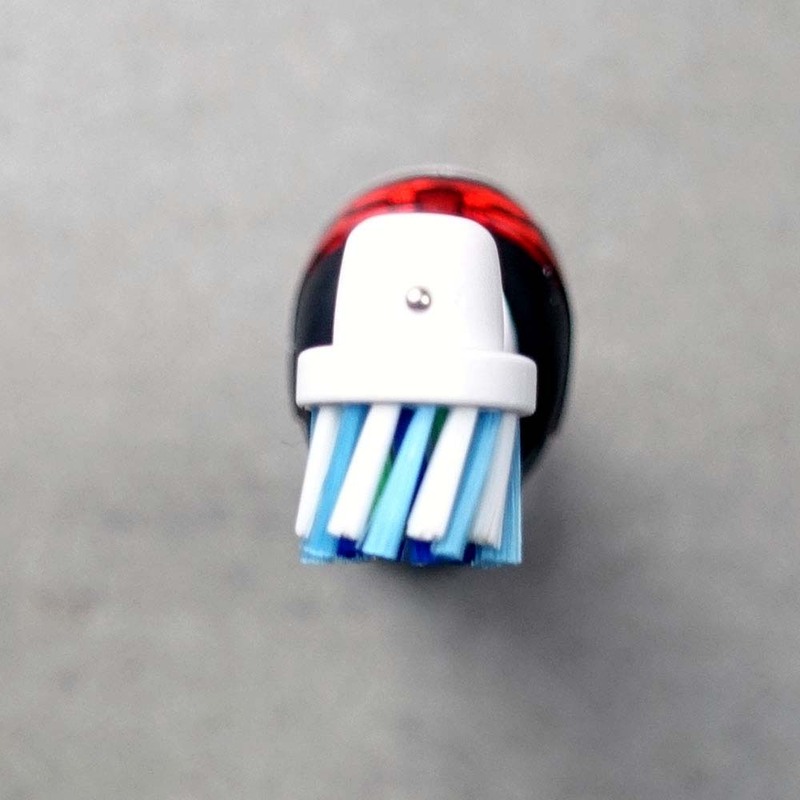 Gum Care mode offered on this brush delivers fewer movements to the brush head from the brush motor for a softer and more enjoyable brushing experience, particularly if you have sensitive teeth and gums. If you would like to know more about how these cleaning modes differ you can find out more here. It is not the biggest frustration, but the brush does not have any way of showing you what cleaning mode is running. Some brushes have LED icons, but not here. The brush also does not remember the mode you are using. So, if the Gum Care mode is your preferred mode, every time you power the brush on you need to press the power button twice. By no means essential, you may wish if using the Gum Care mode to invest in a Sensitive brush head. It may come supplied, subject to what variant you buy, but if not, it could be worth considering. The more standard CrossAction brush head included with this review unit has stiffer bristles than the Sensitive brush heads you can get. In fact, there are a number of different brush heads that can be used. You can find out more about these, how they differ and which is best for you, but reading our ultimate guide to Oral-B brush heads. Make sure the head of the brush is replaced every 3 months to avoid doing damage to the teeth. It can be difficult to remember when you last changed or replaced the heads. Thankfully the blue bristles you see on the head will fade over time. When they are a very pale blue or white, you need to replace the head. All official Oral-B heads have these fading bristles. Other brands may not so be aware of this, if not buying manufacturer originals. There are 2 really useful features built into this brush than I have not mentioned yet. One is the Pressure Sensor. On the neck of the brush handle is a plastic panel that is a red/orange colour. 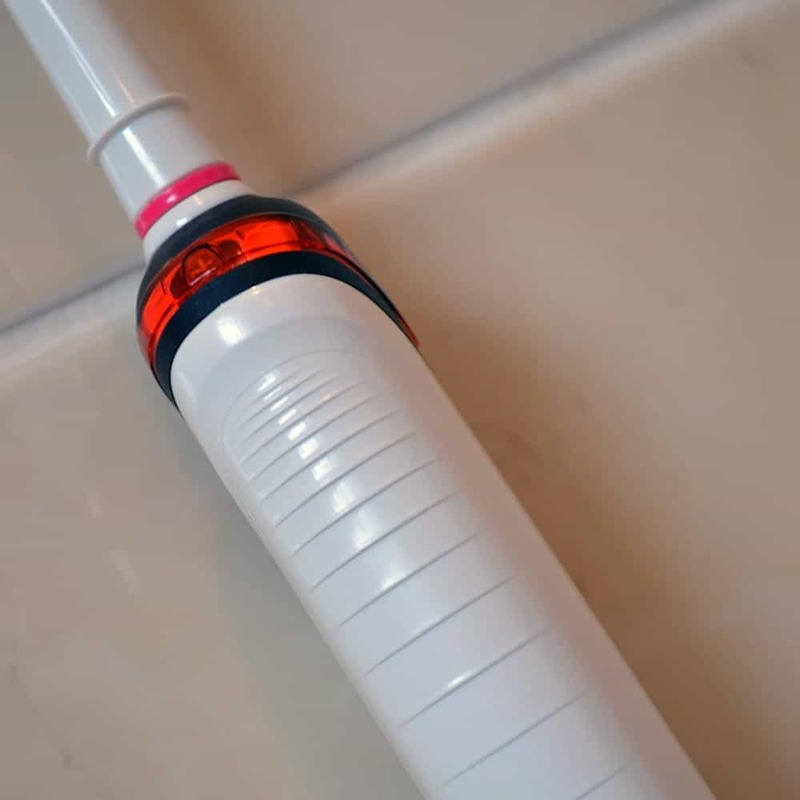 Behind this is an LED that lights up to produce a bright red light when too much pressure is detected during the brushing. It goes out as soon as the pressure is reduced. At the same time as too much pressure is detected, the motor will automatically reduce the power it delivers. Applying too much pressure when brushing is a big issue and it causes more damage than you might think. A brush need only skim the surface of the tooth and gums. The job of the pressure sensor is to alert you, protect you and educate you into being more careful when brushing. Those moving to an electric toothbrush for the first time will likely activate it more frequently. Don’t worry too much, within a few weeks you will adjust to the pressure required. Long term electric toothbrush users will likely not activate it, but it is a nice feature to have nonetheless. The other feature is the timer and quadpacer. Dentists recommend brushing the teeth for 2 minutes, twice a day. The Pro 2 2500 helps with this. You should imagine your mouth broken up into 4 sections. Upper right, upper left, lower right and lower left. The idea is that you spend 30 seconds cleaning each section. The pacer helps you keep an even brushing time on these 4 sections. Together these add up to the 2 minute total. On the 2500 at the 30 second intervals, the brush will provide an audible warning via a slight pause in the brush motor. This is your cue to change quadrant. Once the 2 minutes are up 3 brief pauses in the brush motor will be heard and felt. As important, is making sure you brush for the right amount of time. It is not the same technique with an electric toothbrush. You can learn here. Both of the cleaning modes on this model last for the full 2 minutes. I really like the clean that the brush offers, my mouth felt really fresh after brushing. The noise the Pro 2500 makes is quite a bit louder than a Colgate C250 or a Sonicare equivalent. Those are quieter when running. Unlike some other models the box contents is limited, there is the travel case which is transparent, fairly thin, but robust enough for what it needs to do. You can get better travel cases but you have to pay for it. As standard, the 2500 comes with a 2 year/24 month warranty. But, register it online and you get an extra year for free, no cost so 36 months or 3 years in total. One final thing to be aware of is that there is a money back guarantee on offer from Oral-B. It is essentially like a trial, whereby you can buy and try the brush. Should you not like it you can return it for a refund. This is particularly useful if you are unsure whether an electric toothbrush is for you. Find out more about it here. If you read the introduction to this review, I mentioned how the Pro 2 2500 was a little different to the model it replaces, the Pro 2500. As part of a range upgrade Oral-B have changed the batteries inside the brush handle from Nickel Metal Hydride batteries (NiMH) to Lithium-Ion (Li-Ion). The result is double the battery life! What was once just 7 days/28 minutes of actual usage time the result now from my hands on testing is 66 minutes of running time. That equates to 16 days usage. Strictly speaking, 66 minutes is 16.5 days but I have rounded it down to account for over brushing time/lost power from delays in turning the brush off. Supplied with a charging stand, when the battery needs replenishing, simply set the brush on the stand. A full charge can take up to 15 hours. It is however perfectly fine to take it off charge sooner as it is fine to leave the brush on the stand. The power cable that is attached to the stand has a 2 pin connector attached. Designed to connect to a power socket found in a bathroom. Working on 220-240v it is possible to connect it to a 3 pin UK socket with use of an adapter. When charging the battery charging icon flashes green. When power is low the battery status icon will flash red and you will likely feel the decrease in brush power. Competing brands still give Oral-B a good run for their money, with equivalents offering up to 3 weeks usage time. A brush is only worth what you are prepared to pay for it. If you think it is worth £100 and want to pay this then that is fine, that is your choice, it’s your money after all. However, given that I have tested and purchased many brushes I have a good feel for where the price should sit. The Pro 2 2500 has a recommended retail price of £79.99, which is £10 more than the Pro 2 2000 that comes supplied without a travel case. From a retail perspective that is probably what the case is worth if purchased separately. If you need a case for your brush because you travel frequently, I would say it is worth picking up the 2500 over the 2000, providing the cost is no more than £10 more expensive. The good news is that the price differences between the two models (at the time of writing) is less than that. I have seen them with just a few pennies between them and a full £10 difference. Both brushes sell on average at 40-50% below their RRP with the Pro 2 2000 being sold from £30-40, thus the 2500 will be around £35-45 — we have included a live price comparison here. If there is less than £5 difference and you are not worried about colour it makes most sense really to go for the 2500 to have the travel case, should you need it. Prices will vary from store to store. Quite often online retailers will have the best price. This brush like every other requires replacement brush heads for each user every 3 months. Replacement heads can be purchased in packs of 4 and are priced on average between £11 and £14. Using the average cost (based on one user) and ownership over 3 years (the same as the warranty period (if registered online)), the Pro 2 2500 will cost £74 or 7p per day to own. This price does exclude the cost of water, toothpaste and electric to charge it. This price also works on some assumptions, but you get a rough idea. Generally available with 40% or more off RRP; circa £40. Worth spending £5-10 more to get this because of the case. None of the brushes we test here at Electric Teeth go through specialist machines for drop tests or reliability trials. We do not have such equipment. We put them through the life test. We use them, look at them in detail, compare them to the competition. Oral-B has developed pretty strong reliability over the years they have been making brushes and we find the failure rate to be low. Most never go wrong, but inevitably some will. Should it fail and the fault is as a result of parts or workmanship rather than user damage then it will be covered under the warranty. The standard warranty or guarantee if you prefer runs for 2 years/24 months from the date of purchase. Taking just 2 minutes to register your Pro 2 2500 via Oral-B’s website and you can get an extra years warranty at no cost to you. For a brush of this price, I think a 3 year warranty is pretty impressive. During my testing, I have looked for possible weaknesses but found nothing of concern. Superb, excellent, brilliant are all words that can be used to describe this brush. Compared to last years model only the battery life (and the name) has changed. Now lasting twice as long the 16 day battery life is admirable, even if the competition still has the longer life! Slim, comfortable in hand and providing a good clean there is little to dislike or complain about this brush. It has all you need of an electric toothbrush and will do you proud. Is the Pro 2 2500 an oscillating brush? Yes, with Oral-B 3D motion that oscillates, rotates and pulsates. Using a lower speed and power output through the brush head in conjunction to clean the teeth and massage gums, stimulating blood flow and assisting in reducing sensitivity in the gums when brushing. Does it have any other cleaning modes? No, it has just two cleaning modes Daily Clean and Gum Care. For more cleaning modes consider the Smart 4 4000 or the Smart 5 5000. If you want less, look at the Pro 600 or the Philips Sonicare EasyClean HX6511/50. The brush head that is supplied with the Pro 2 2500 is usually a CrossAction head. This is packaged as the Pro 2 2500N. There is also a package called the Pro 2 2500S, this includes a Sensi Clean UltraThin head instead. You can change the head with any others on offer from Oral-B. There are many that work with the brush handle. 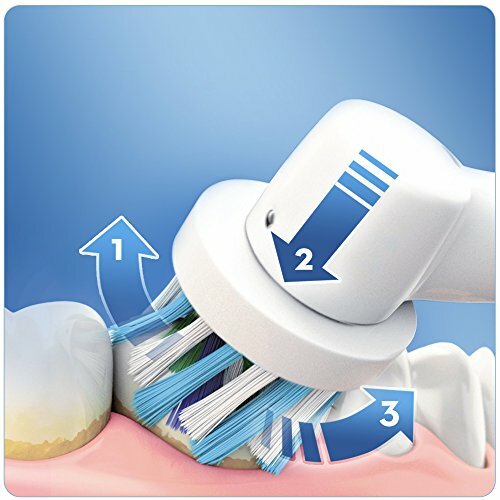 There are 6 main brush head options that include Cross Action, Floss Action, 3D White, Sensi UltraThin, Precision Clean and TriZone. Does the Pro 2 2500 have a pressure sensor? Does the Pro 2 2500 have Bluetooth? Does the Pro 2 2500 come with a warranty & how long is it? If purchased new from an approved retailer the Pro 2 2500 will come with a 2 year warranty which can be extended by a further year to 3 in total if you register the brush online on Oral-B’s website. Does the Pro 2 2500 have a built in timer? Yes. Often referred to as the quadpacer; subject to the cleaning mode the brush will provide an audible warning through a slight pause in the brushing mode to tell you to change quadrants. There are 4 quadrants to the mouth, and brushing is normally for 2 minutes. The timer will active at 30 second intervals, with a different sound at the end of the 2 minutes. There is no visual timer included, although you can see the pause in the brushing mode if watching the brush head itself. The battery lasts up to 66 minutes, which if used on the standard daily clean mode is 16 days based on 2 cleans per day. Does it come with a smart wireless guide? No, the Pro 2 does not have a wireless smart guide included. Yes, a charging station is included with the Pro 2 2500. The charger is a 2 pin/prong charger designed to be used on voltages of 110-240 volts. It is a 2 pin charger suitable for connecting to shaver sockets found in many bathrooms in the UK & Europe. If you do not have a shaver socket, you can purchase an adapter that will allow the charger to be connected to a standard 3 pin UK mains socket. The Pro 2 2500 charging station or brush head holder has not been designed to be fixed to a wall. Can I use the Pro 2 2500 in the shower? Yes. The Pro 2500 is water resistant so if you choose you can use it in the shower. Avoid submerging it in water. Yes, a travel case is included in the box. Do you own or have you used the Oral-B Pro 2 2500? Hi Jon, based on your very informative and helpful review I also went for the Oral B pro 2 2500. I’ve had the brush for just over a week now and on the whole I am happy with it. I also have not experienced 2 weeks of battery life. I charged it fully after unboxing and have used it for about 6 days and the red light has already come on to indicate low battery. This makes me think the brush probably does not travel well particularly without the charger. I am pleased to hear the review helped you make a decision. The Pro 2 2500 should have a battery life of 2 weeks, so 6 days is a bit concerning. Can I clarify you definitely have the Pro 2 2500 and not just the Pro 2500 (note the lack of extra 2 in the name). The Pro 2500 came before the Pro 2 2500 and offered just a weeks battery life. If you do have the newer Pro 2 2500 how long are you brushing for each time you use it? Is it 2 minutes? Do you brush your teeth twice a day or more than this? Yes it is definitely the Pro 2 2500N it says it on the box, mine has a black frontage and I have the travel case included. I bought it from Amazon and did double check it before purchasing that i was not buying the older model. I brush twice a day for 2 mins, I use the timer as a guide for when to move on to the next section. I was just checking the Amazon reviews and some other users have left reviews saying the battery life is not as long as stated so perhaps this is a common issue. Thanks for the confirmation. All understood. I wanted to check as others have commented to me about this before and it transpires they have bought the older version. In this instance, you might want to see if a return to Amazon is possible rather than a repair with Oral-B. If a return is not possible, you can follow the directions outlined in our Oral-B warranty article and get it repaired. The Oral-B Pro 2 2900 is a package that contains 2 x Oral-B Pro 2 2000 brush handles. The technical capabilities of the Oral-B Pro 2 2000 and the Pro 2 2500 are the same, it is just the box contents that differs. The Pro 2 series offers up to 9,900 oscillations and 45,000 pulsations. hello this is my second mail. I like your comments and ‘m following your webside in Turkey. 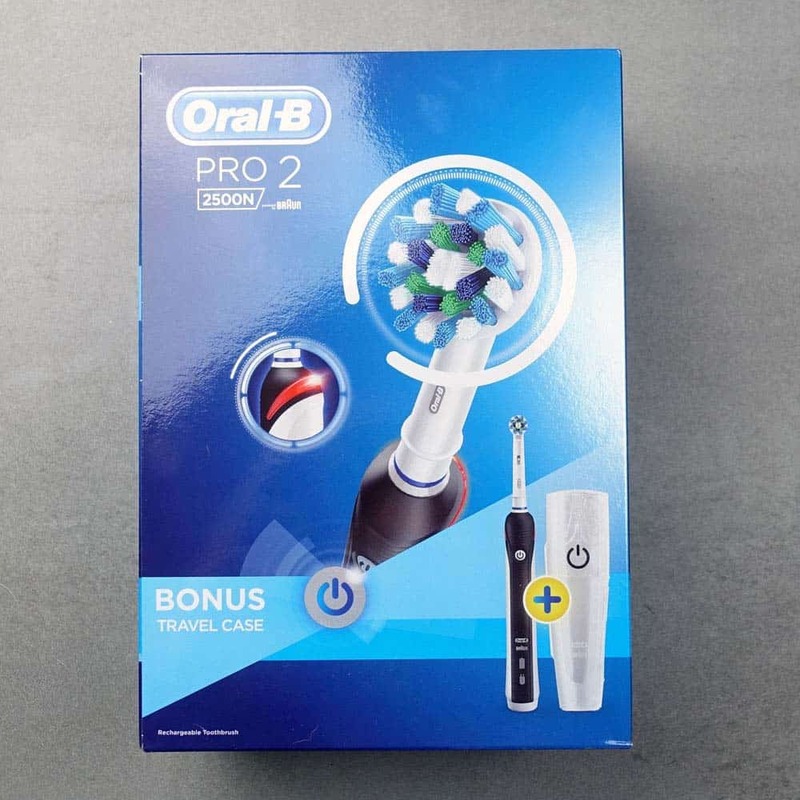 Is there any differences between Oral B Pro 2 2900 and Oral B Pro Care 3000? I have pro care 3000 to and it has one more option. That is whitening. Are they same oscillations and pulsations? Whenever I use pro 2900, it seems more powerful than 3000 due to lithium battery. Models around the world do vary in specification etc. I am not overly familiar with the range of brushes available in Turkey, but I think the Pro Care 3000 is an older brush, whilst the Pro 2 2900 is a newer model. I do not see the Pro Care 3000 on the Oral-B website for Turkey. If I understand it correctly, yes the Pro 2 2900 has a slight power increase over the older Pro Care 3000, which you may well be able to notice, but in truth will bring little if any significant cleaning benefit. It could be that the battery has degraded on the Pro Care 3000. How long have you had this? Thanks for this. So, the Pro 3000 on that link you provide has a maximum number of oscillations of 8,800 and 40,000 pulsations. The Pro 2 2900 has 9,900 oscillations and 48,000 pulsations. So as you can see the Pro 2 2900 is slightly more powerful. The battery is different also. Lithium-Ion in the 2900 compared to Nickel Metal Hydride in the 3000. Hi! Your website is fab and your youtube, thankyou for making toothbrush buying alot easier! I am new to this and it will be my first purchase of an electric toothbrush. I am happy with your number one choice of brush Pro 2 2500 but I would like a whitening mode.which one would your recommend if that is the only extra I want but still retain all the features in the Pro 2 2500? I don’t understand the part about brush heads as well. If i use a whitening head, is it the same thing as using the whitening mode on the brush? Meaning could I just buy a whitening head and then the pro 2 2500 would be perfect? Also if ypu choose to use say a whitening head at all times, does it still clean as effectively as a standard head? Or do you brush with the regular one and change immediately after to specifically say..whiten with just the whitening head? Haha sorry that is so long. I don’t want to waste money 🙁 and get something that’s an overkill or worse, something that doesn’t meet my needs and have to spend again just for one feature 🤯 thankyou! Thanks for the comment. I am pleased you have found it useful. The whitening of the teeth and using an electric toothbrush for that is complicated. There are many different scenarios and lifestyle conditions to consider. In the very near future we will have a guide that explains this all in detail. However, here is the short answer for now. A toothbrush with a whitening mode or a whitening brush head is not guaranteed to give whitening results. A brush can only ever remove ‘extrinsic’ stains, these are marks and discolouration on the outside of the tooth. These are often caused by the food and drink we consume. Whilst a whitening mode or a whitening brush head such as Oral-B’s 3D white brush head can potentially achieve the results of whitening quicker, it is not guaranteed. In most instances just using an electric brush, twice a day, for 2 minutes each time, with the correct technique and a good toothpaste, your teeth may get whiter. Therefore, I would suggest, stick with the Pro 2 2500. Try a 3D White brush head, but really don’t worry about a brush with a whitening mode. The 3D White brush head can be used on a daily basis, but for the best results, I would suggest you maybe use it for 3 months, then replace with a Sensitive or CrossAction head for 3 months and then potentially back to a 3D White again if you want to. On Amazon UK, the Pro 2 2500N and 2500W are currently selling for £30 and £34 respectively. I recently got one for myself and one for my mum. The only thing I dislike is the vibration that reminds you to change mouth quadrant every 30 seconds. I like to take my time while brushing and go at my own pace, so the vibration is just distracting. I’m sure I’ll get used to it in time. What a helpful and comprehensive website. Well done! A big thumbs up for your extremely comprehensive reviews and recommendations. The best on the web! I’ve just replaced my old Oral B brush with this new Pro 2 2500, and my initial reaction is a very positive ‘yes’! It’s much slimmer and fits really well in the hand, which makes it easy to reach those awkward areas that my dentist keeps remarking on, particularly the innermost side of the upper and lower front teeth. Time will tell how it performs long-term but it’s definitely off to a great start! For those who might wish to know, the Braun brush head storage compartment (an optional extra purchase) fits this model’s charger perfectly! The only ‘con’ so far, is that the mains lead is on the short side (just under a metre). Thanks again for your very helpful review! Any idea where I could source a short ‘bathroom safe’ white 2 pin male/female extension lead. The charger mains cable is just a little too short to reach the shaver socket in the mirror surround? You are not the first to ask for such a product, but I have yet to see or find such a product. It is amazing that such does not exist. A few people have made a DIY attempt, but I do not endorse this. I think sadly, most then opt to charge their brush elsewhere in the home, using a 2pin to 3 pin converter. How is this pro 2 2500 compare to pro 3 3000? Does it allow to charge the toothbrush while inside the travel case? I have written a comparison of the Pro 2 2500 against the Pro 3 3000 here. Hopefully that article answers all you need to know. The brush cannot be charged inside the cases with these models. For that, you need to look at the Genius 9000. Or buy the case that is designed for the Genius 9000 and use the Pro 2 2500/Pro 3 3000 inside it. The fit of the handles is not perfect and the cost is quite high to do this. I am on my 4 th pro 2000-2500 as they have all the same fault, when I charge them I go to brush my teeth in the morning and they don’t work until I put back on charger for a split second and that is it until the next charge. Has anyone else experienced this problem. My wife bought one at same time hers is no problem. Wow Hugh, the 4th brush to have such an issue, that seems strange. Naturally some faults can exist, but to get the same issue this many times seems odd. Have the ones you had been repaired or replaced or are you buying new ones? Thank you for posting this – since hearing it I will probably go for refund. Somewhat pleased to read this, as I have a similar issue. At least I’m not alone! I bought an Oral-B Pro 2 2500N. Works fine at home. Does not travel. Fully charged, placed in the supplied hard plastic case – no way the power button can be pressed. On 3 separate occasions, after a flight, the toothbrush will not work, and the red power light flashes. Yet the toothbrush is fully charged and a few minutes on a charger will restore operation – IF you have packed the charger as well, which is supposed to not be required for short trips. Mine would not work in the morning after being charged the day before. A split second on charger and away it went until the next time it got charged. I had 4 in a row the same, now I just put up with it. pulsations per minute for example? There are not massive differences. The Pro 2 2500 offers up to 9,900 pulsations and 45,000 oscillations. The Genius 9000 offers 10,500 pulsations and 48,000 oscillations as far as I am aware. Would be good if you made this information more prominent, since this is probably the most important factor when it comes to plaque removal efficacy. Thanks for the feedback. I will certainly consider if there is a way this information can be made more prominent in the future. The problem is in my opinion that making too much of a thing of the brush movements may mean users are looking for the fastest and most powerful all the time, thinking this is better, when really it is not all that important. Whilst I do agree that it will have some impact on how well plaque can be removed, there is little evidence that I have seen that highlights or confirms that additional brush head movements are that beneficial in plaque removal. What I mean by this, there is no evidence that I know of that suggests the Genius 9000 is technically better at cleaning the plaque away than the Pro 2 2500 and therefore make it worth the investment. Many people do not brush for the right amount of time, nor use the correct brushing technique. In most cases, this is because they have never been shown. Perfecting these will have far greater improvement than the speed of the brush head. You may have the technique and routine nailed in which case the Genius 9000 and the extra movements it offers may bring benefits to yourself. My hygienist recommended a rotating head over my oral B sonic complete with square head so I happened on your site whilst attempting to understand the options! And what a breath of fresh air it is in the confusing world of manufacturer/retailer’s spiel and (intended?) obfuscation and model naming/packaging! The 2500 Pro 2 looks to be ideal – but the only feature I would miss and which you do not mention, is where to stack additional brush heads (travel case excepted)? My current charger/holder can hold three plus one on the holder itself although I only need one extra. No doubt the 2500 will not fit my existing charger. Where do I keep the extra brush head? Glad the site has helped you. In regards to brush head storage, I think you will find THIS article helpful. It lists the spare parts/accessories your can buy. Take a look at the Oral-B Brush Head Holder/Stand (Holds 2 brush heads) or Oral-B Brush Head Holder/Tray with Lid (Holds 4 brush heads). ORAL B WANT TO GET THEIR FACTS RIGHT BEFORE BANGING ON ABOUT HOW GOOD THEIR LI-ION BATTERY LIFE IS!! Sorry to hear you are not getting the battery life from the Pro 2 2500 that you believed you would. Presumably you have ensured you have fully charged the brush? How long are you brushing for? The battery life is based on 2 cleans lasting 2 minutes per day. Thanks Jon Oral B has repaired it and back to me in less than a week from postage. I bought 3 oral b pro 2 2500 electric toothbrushes in a month and had to return each one with the same complaint. When you get them they are charged and after I fully charged them all day the next morning when going to brush my teeth they would not work. I plugged them into the charger for a split second and they would go. My wife bought one the same as me and worked after charge okay. Apart from that problem I liked the brush. Sounds like a bad batch Hugh. Shame. Glad you liked it though. I think it is excellent that the battery has been changed to extend the time between charges. 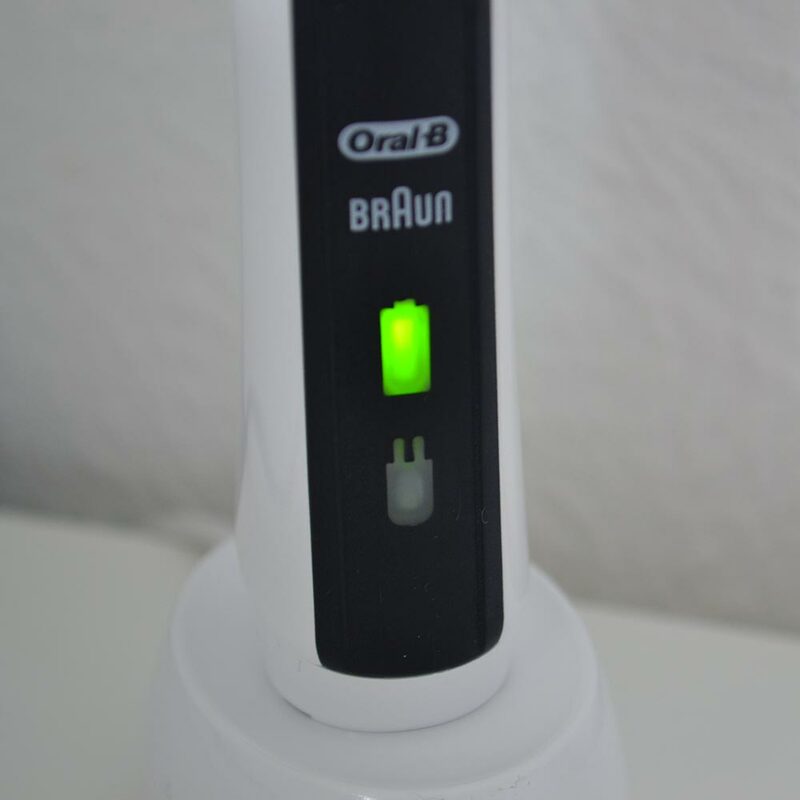 I already own 2 Braun electric toothbrushes but the battery time is reducing right down. (one of them has to stay on charge permanently and only lasts exactly 2 minutes, It is old though).I hope I get even more years out of the new purchase. Over the years I have been very happy with them and would never change back to a manual one. Thanks for the comment Ken. Based on your excellent, unbiased and informative reviews I have bought 6 Oral-B electric brushes as Christmas gifts this year. Hope all will be well received. Thanks! Wow, 6! I hope they are well received too. Perhaps you can let us know what the users think of them. Glad you found the reviews unbiased and informative. Very helpful – Made my decision on which brush to buy based on this site’s reviews and then followed the link to Amazon! Jon was even online to chat and advise!